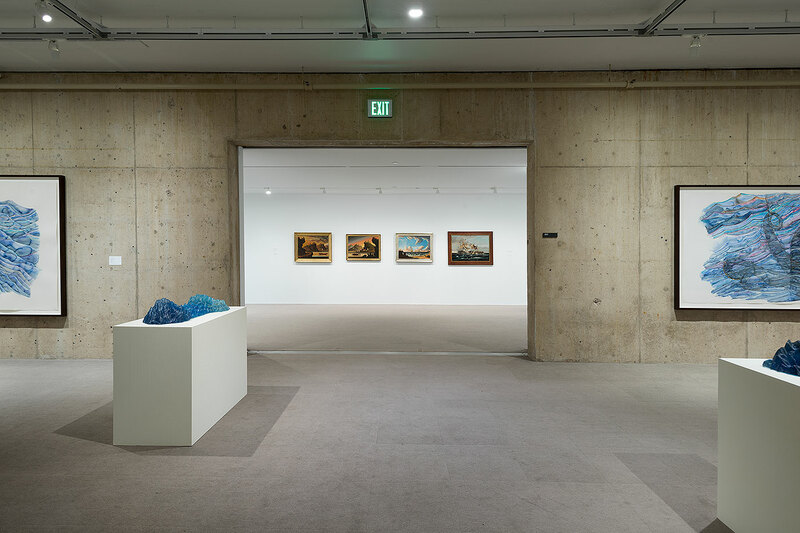 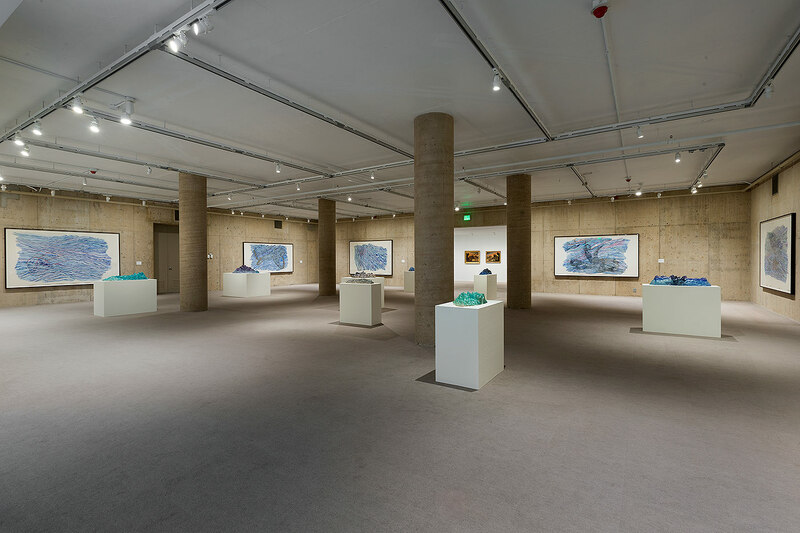 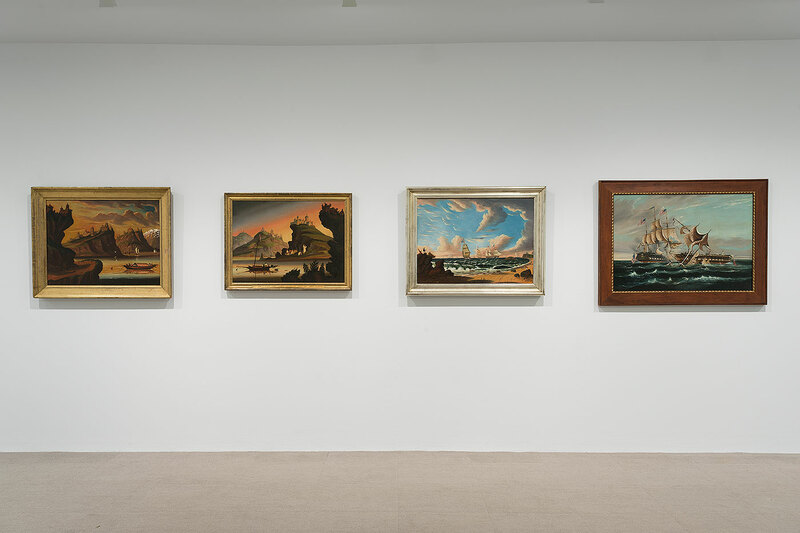 This exhibition included eight mural size watercolors and eight sculptures – four sculptures cast in ceramic and four cast in glass. 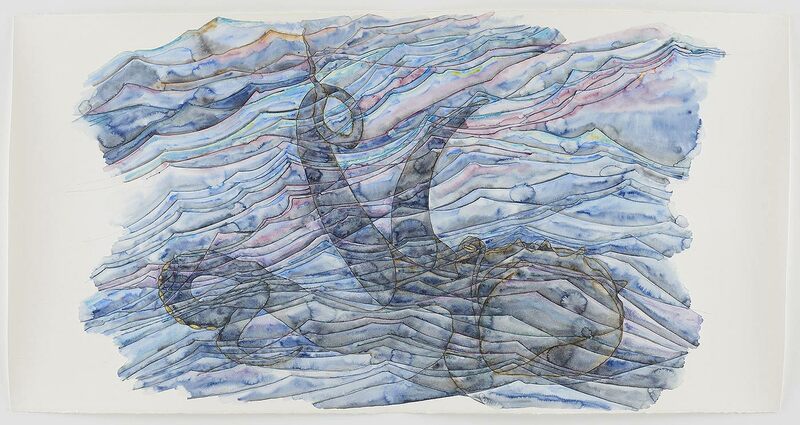 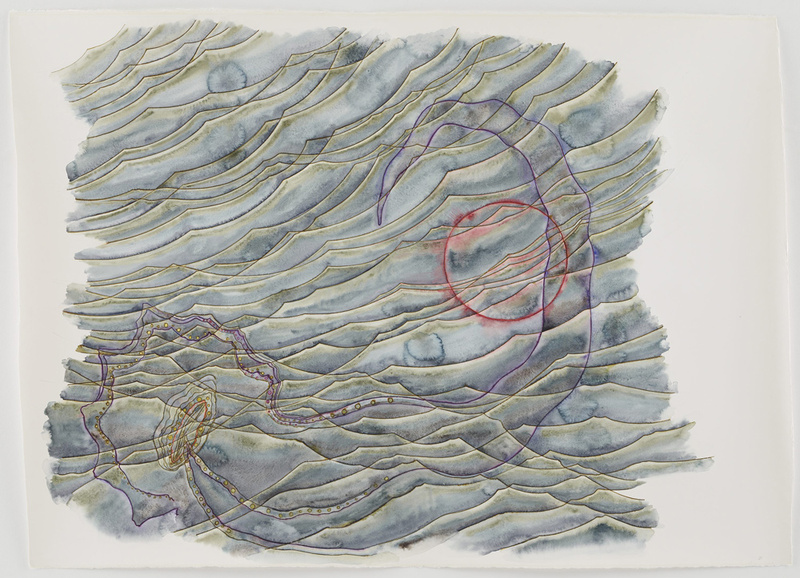 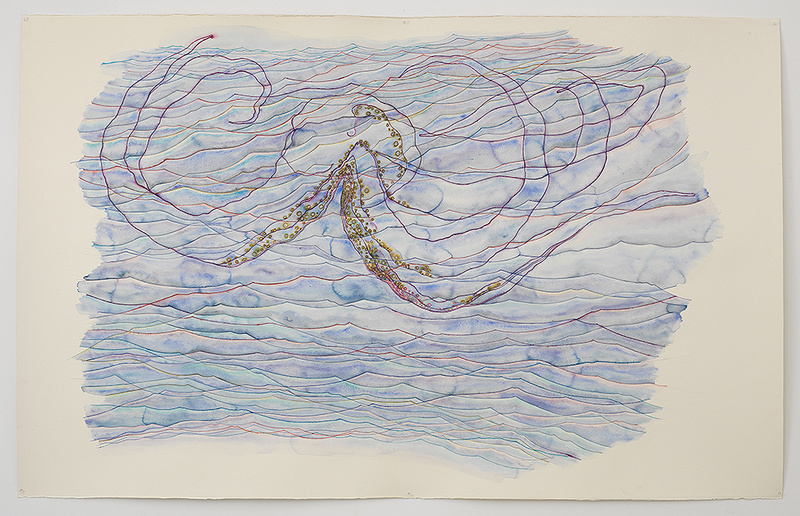 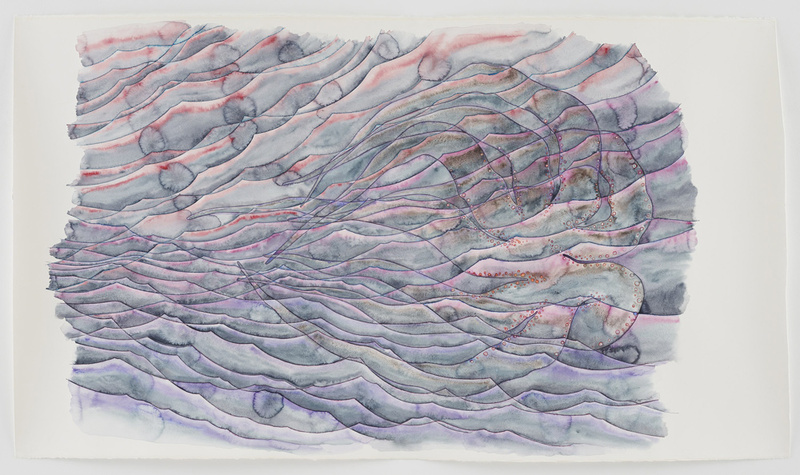 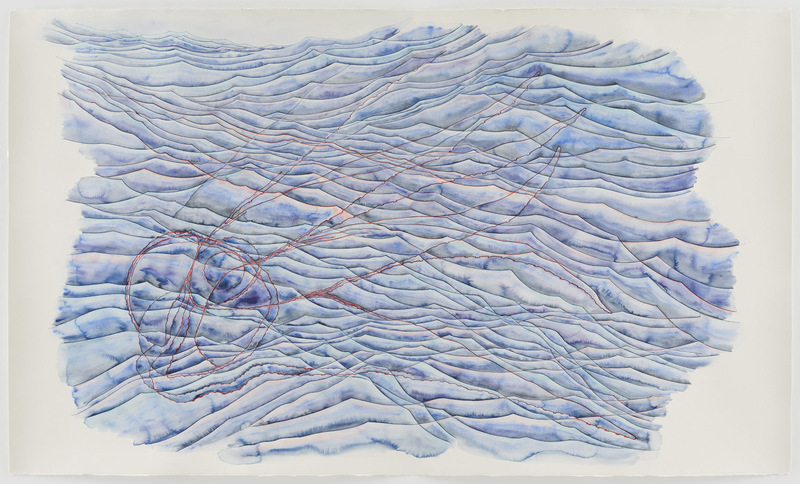 In the watercolors and the sculptures the octopus is camouflaged within the wave pattern of the sea. 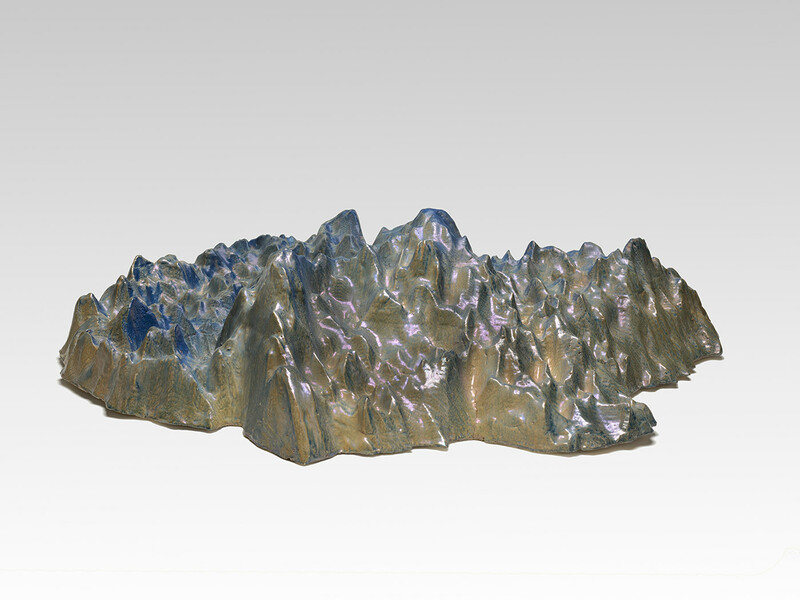 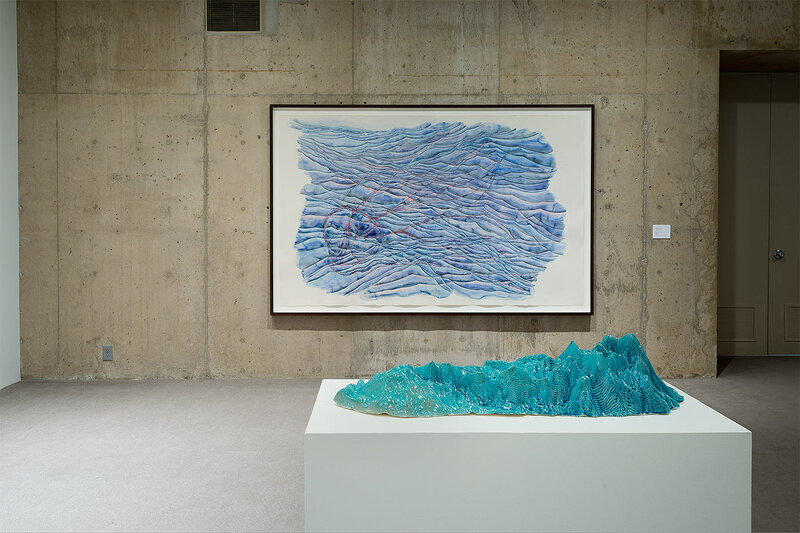 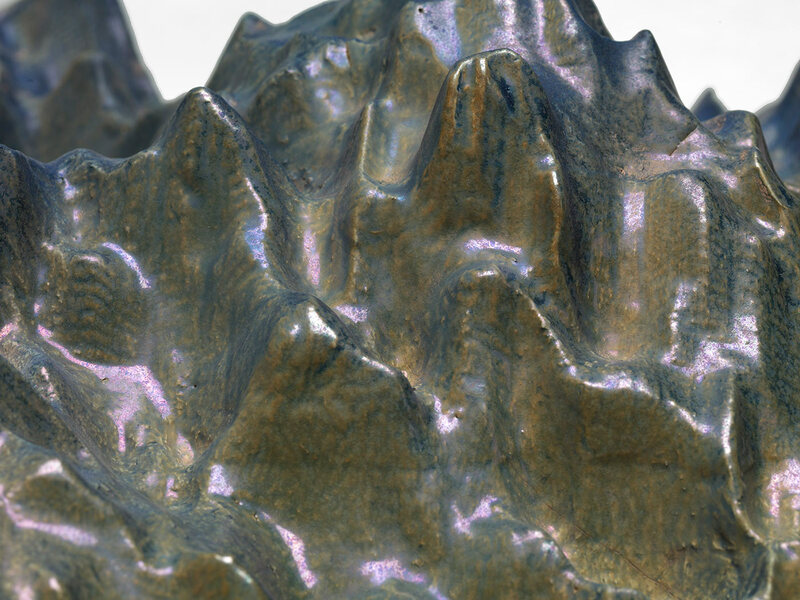 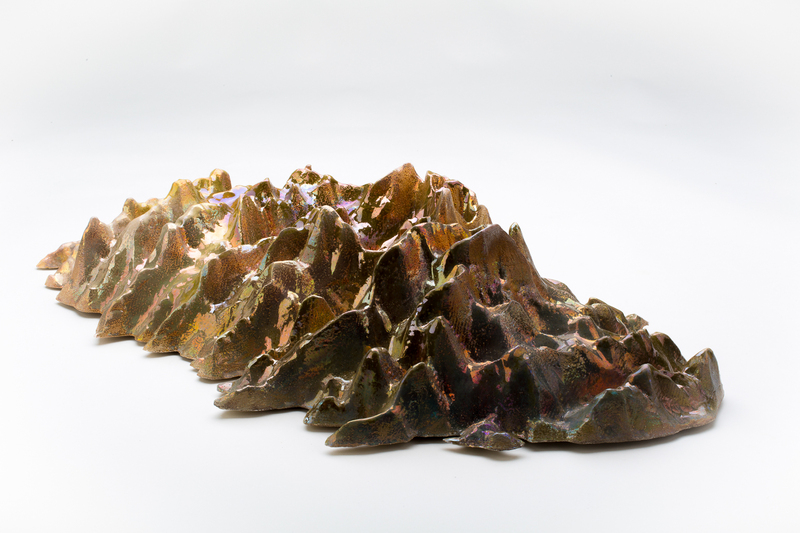 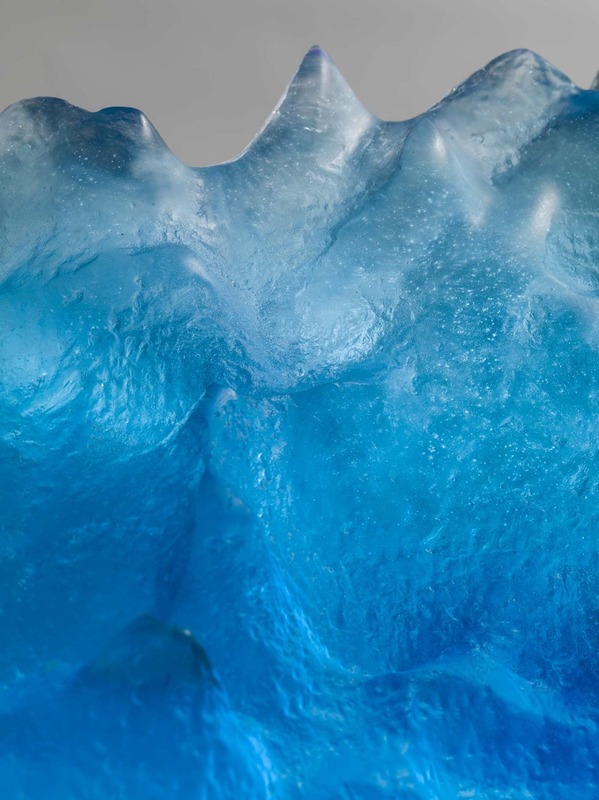 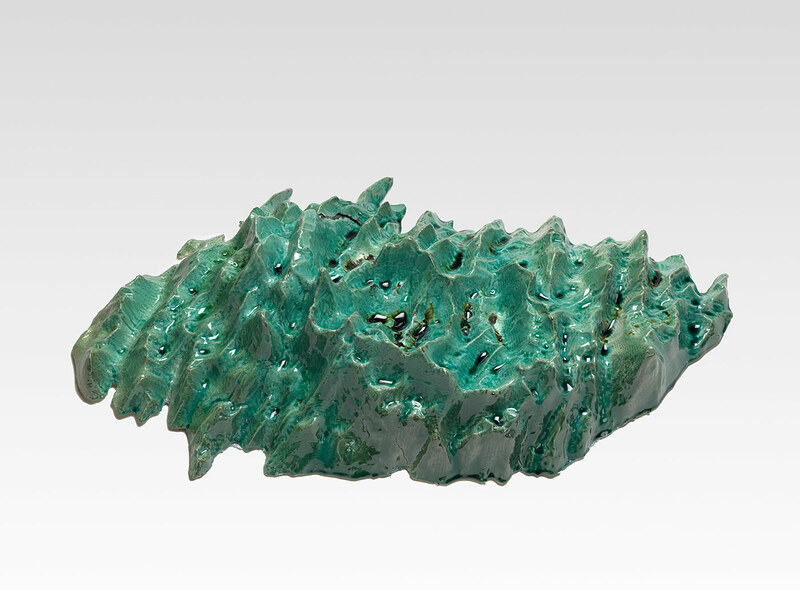 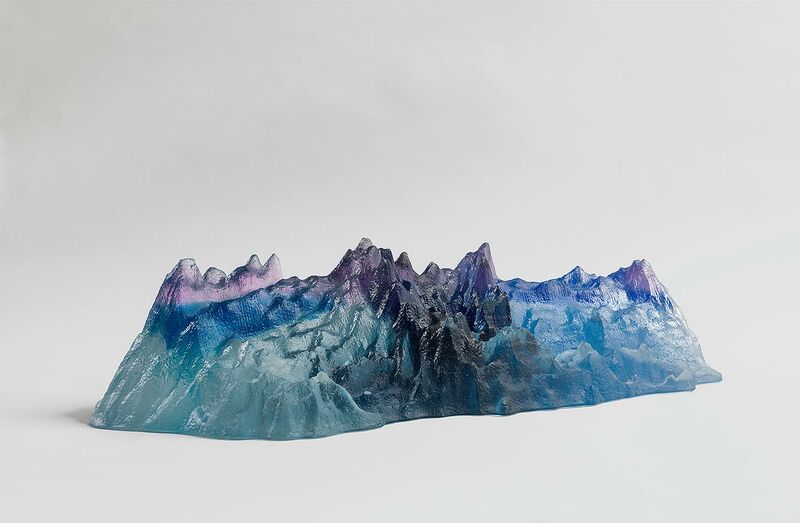 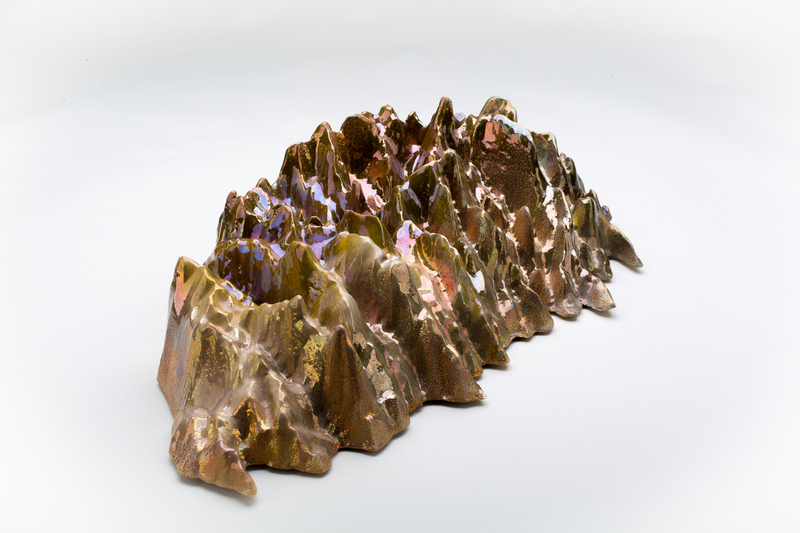 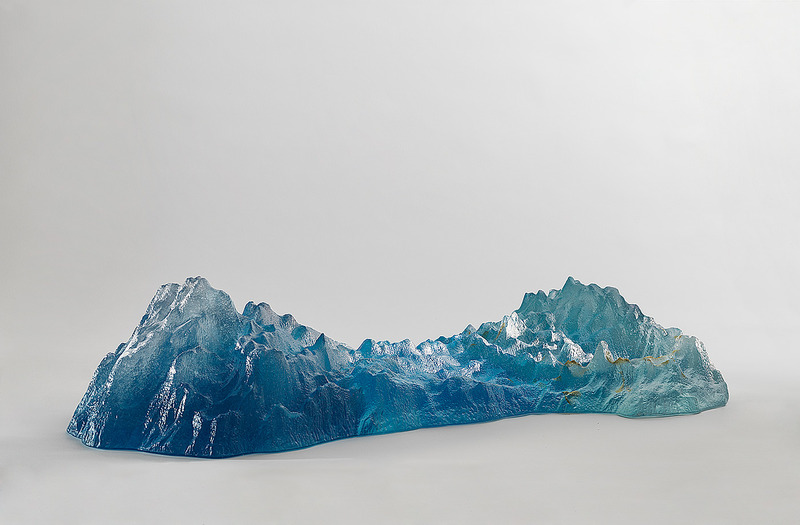 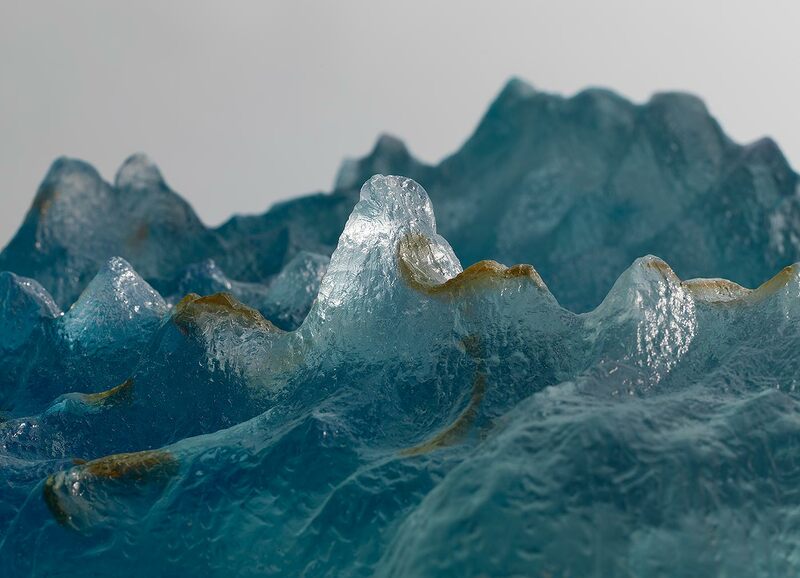 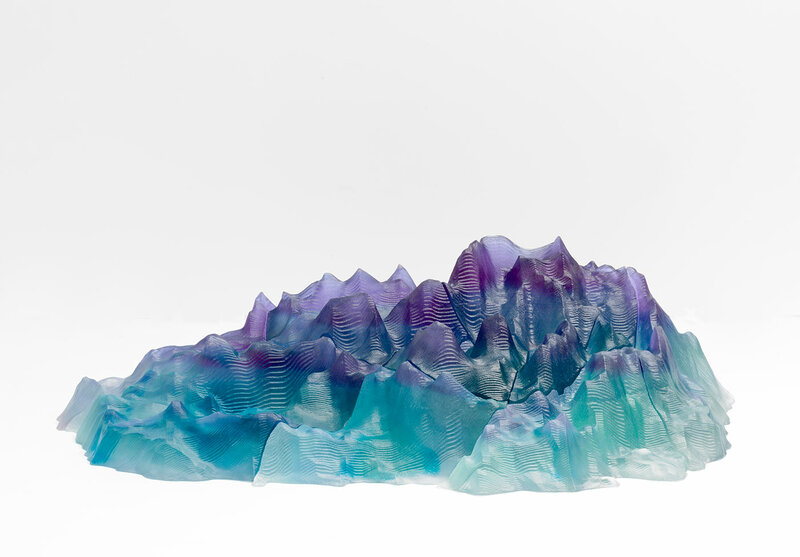 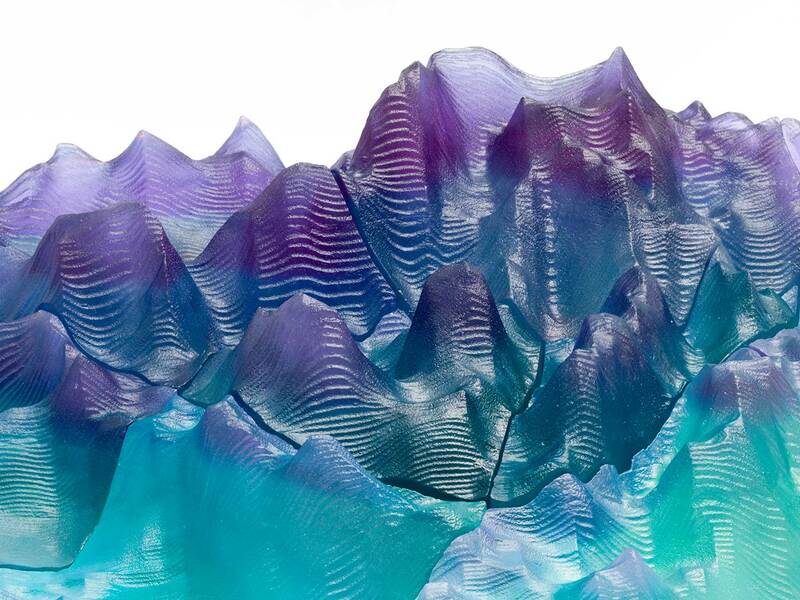 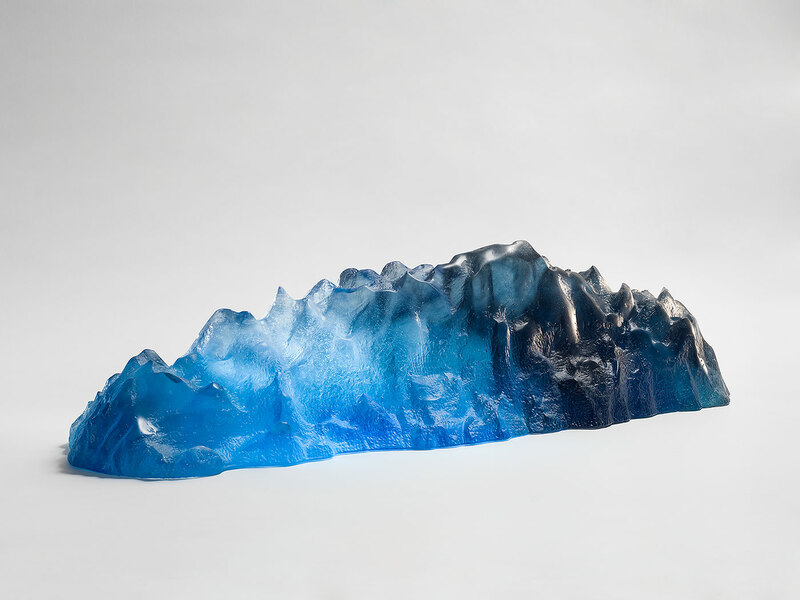 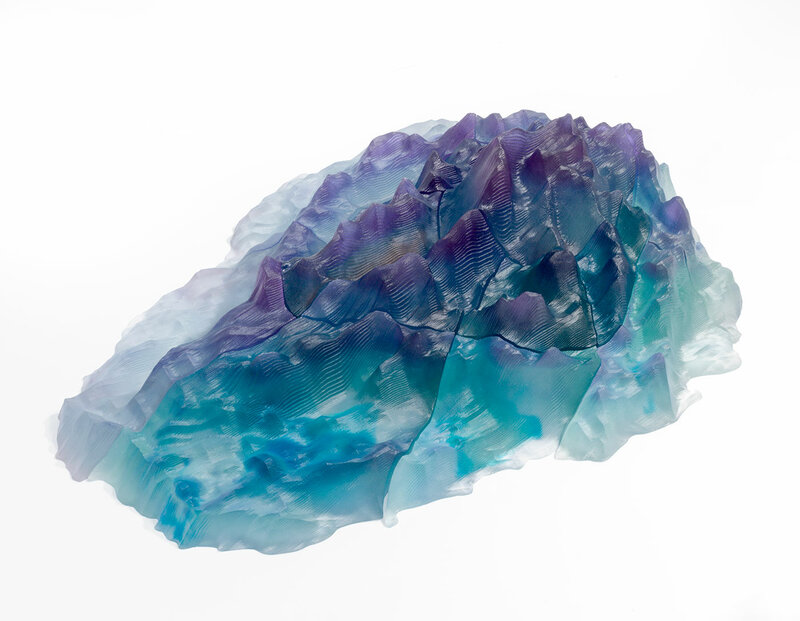 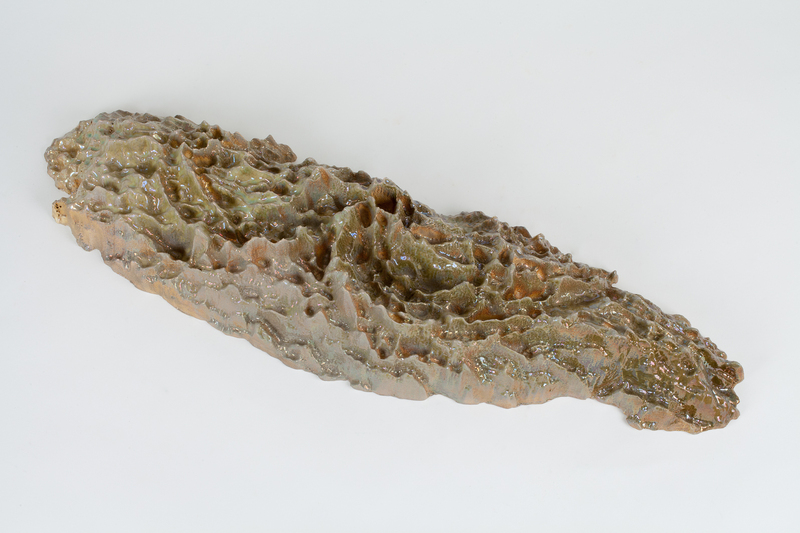 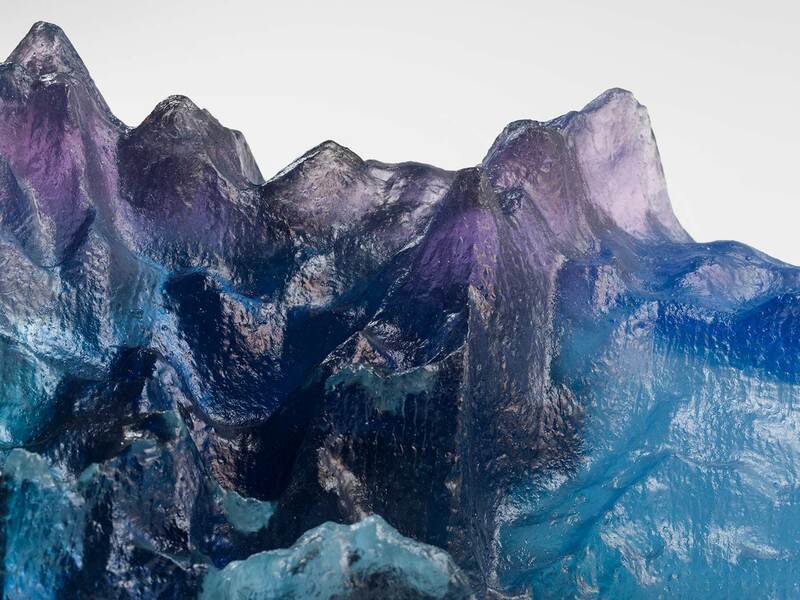 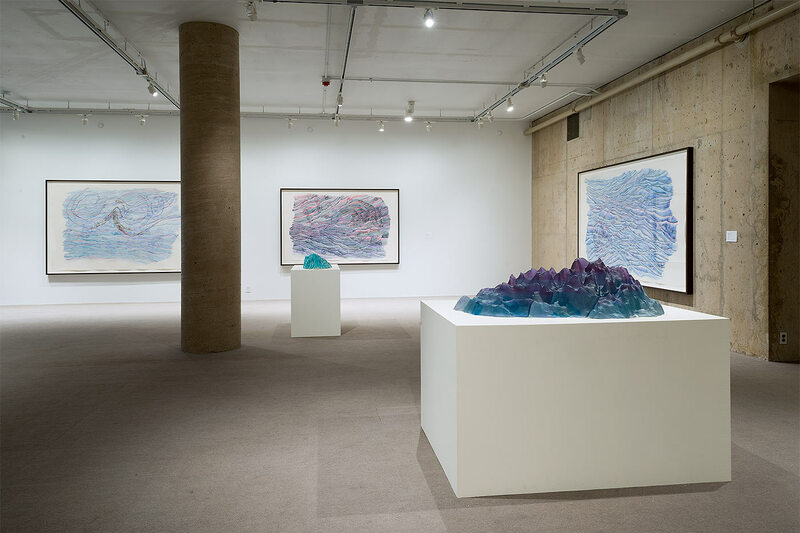 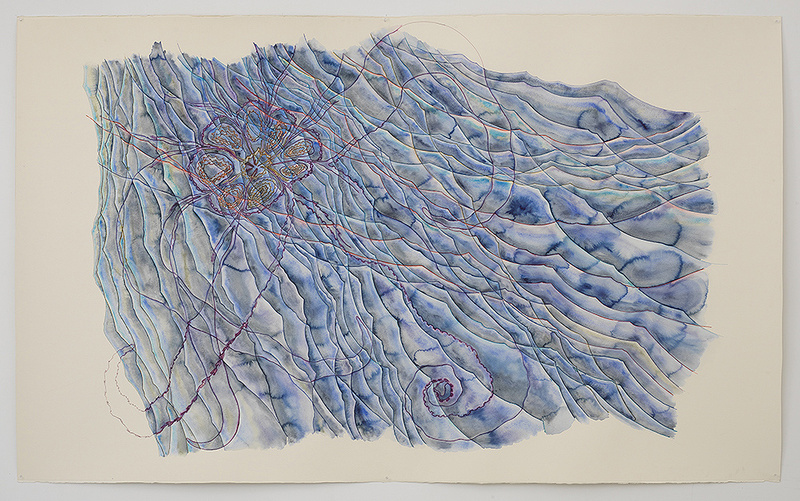 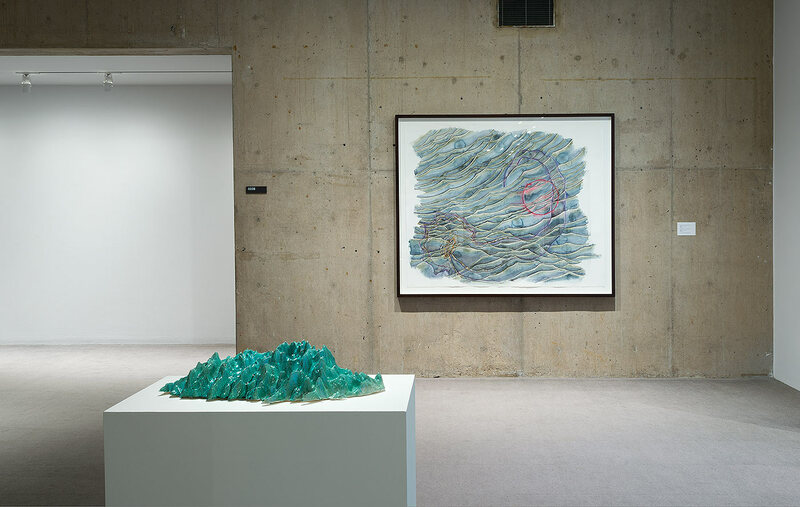 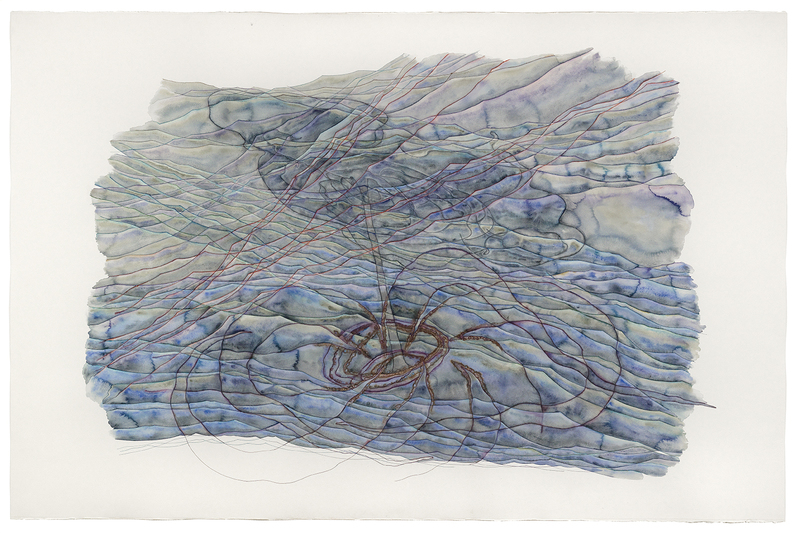 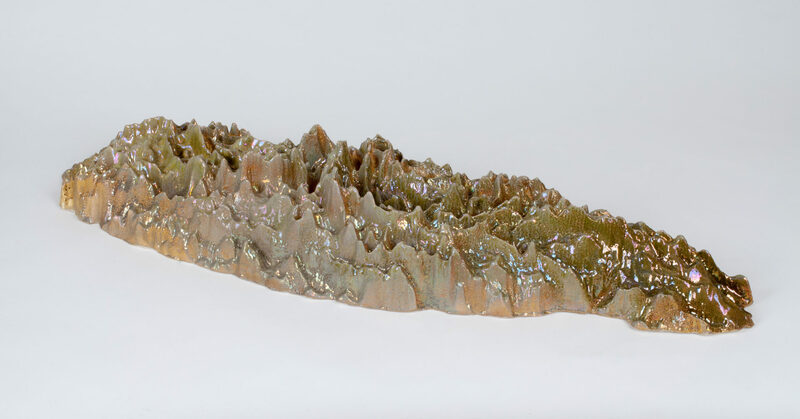 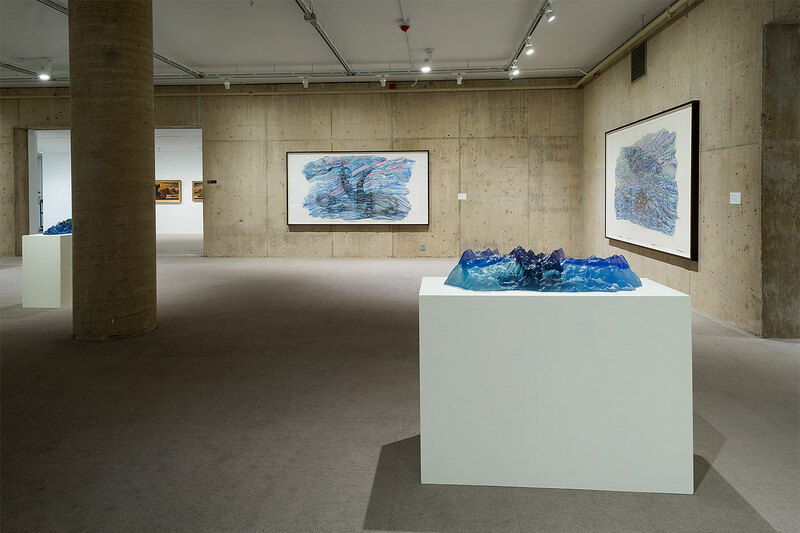 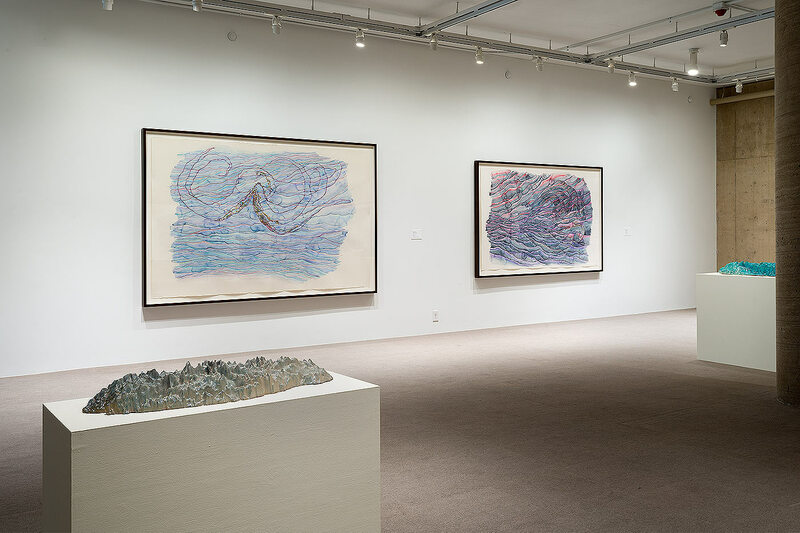 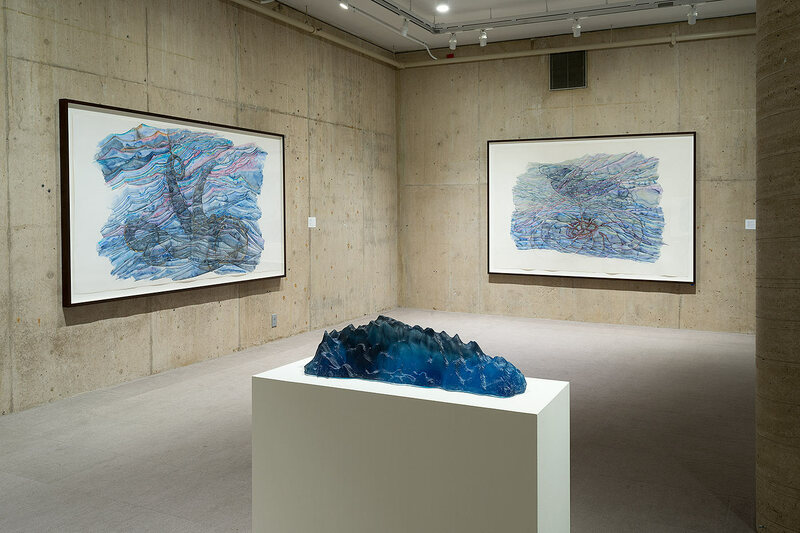 The glass and ceramic sculptures were generated through a three-dimensional computer program to raise and lower the pattern in watercolor drawings. 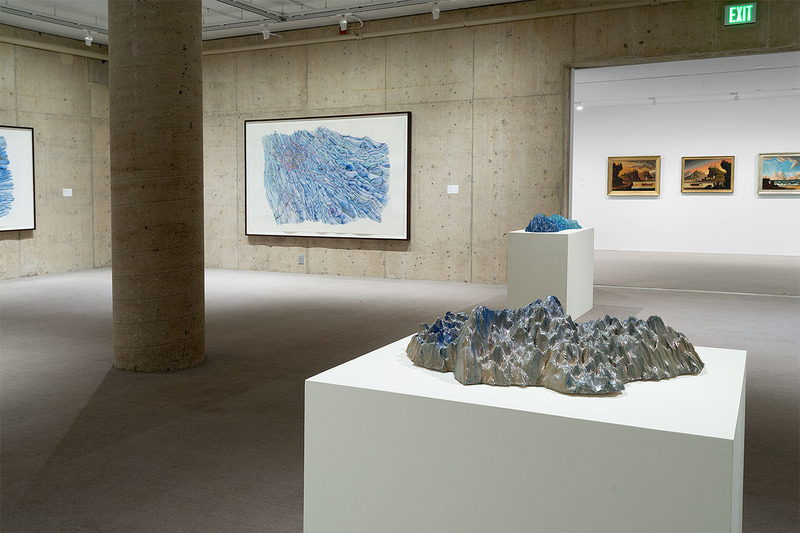 University of Massachusetts-Amherst: March 27 – May 4th, Curated by Loretta Yarlow, Catalogue available with essay by John Yau.